Grassfed Geek: More great books! I've recently been doing a lot of reading in the areas of meditation, stress management, mindfulness and happiness, and I thought it would be great to share some of the excellent books I've found. These are just a few recommendations of books that have been helping me, and informing my new outlooks on life and the kind of things I want to pursue. Let me know if you've read any of these books, and if you found something helpful in them as well! My wife Suzannah found this book a couple of months ago and really loved it (and blogged about it here). I picked it up recently and have been finding it be highly motivating and helpful in formulating my own ideas of what happiness is, what things make me happy, as well as specific techniques and resolutions to make to help increase your overall happiness! There's also an extensive list of recommended reading for happiness-related texts in the back, which is extremely cool, and helpful. Anyone looking to learn more about happiness should check this out as it's a great place to start and will give you many jumping off points for further reading. 2. The Art of Happiness by H.H. The Dalai Lama and Howard C. Cutler M.D. This book is just blowing my mind! Seriously, I'm amazed at this thing. I know it's been out for a long time, so there are many who have read it and been aware of it before me, but if you've ever thought, "Hm, I might want to check that out," here's your extra push to check it out! 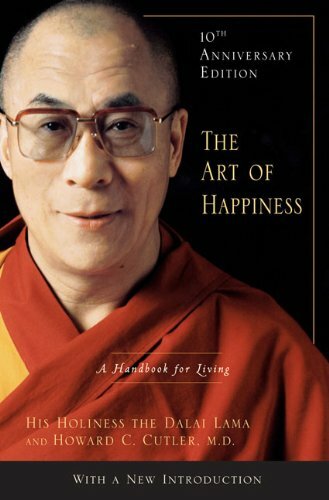 To me, this text is key in developing a wide understanding of happiness, it's role in humanity as well as specific techniques for cultivating happiness within yourself. These ideas come from Buddhism, but the presentation is done in such a way that it's clear; these ideas go beyond any specific creed or dogma, and show us something about our common humanity. Mindfulness is the practice of staying in the present moment and being aware of the sensations, thoughts and feelings that you go through, without placing judgement on them, or projecting into the past or future. It's a process of noticing your experience of living, and grounding yourself in the present where you have the power to act. 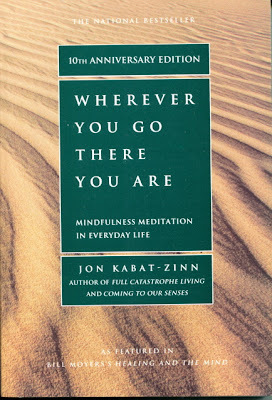 Jon Kabat-Zinn has been doing mindfulness research for over 30 years and developed a program called Mindfulness Based Stress Reduction (MBSR) that has helped millions of people suffering from everything from chronic pain and disease to anxiety and high stress lifestyles. This is really helpful stuff as it's geared towards a western audience with an understanding of the problems that we face in this high tech, constantly changing, busy, distracted, plugged in world. These methods are helping me overcome my anxieties and stay in a good frame of mind as I tackle the problems and enjoy the sweet moments of my life. Again, let me know if you have any experience with any of these books, and definitely check them out if you are interested! 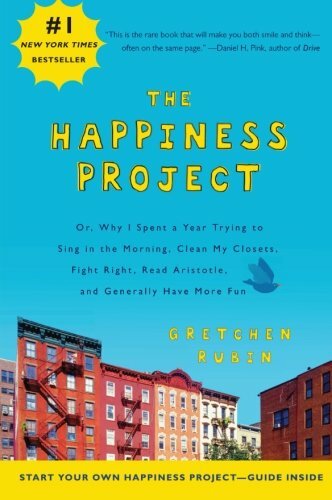 i am a big fan of the happiness project, even just a few pages at a time makes for a great reminder of what little things you can do to make your life happier.